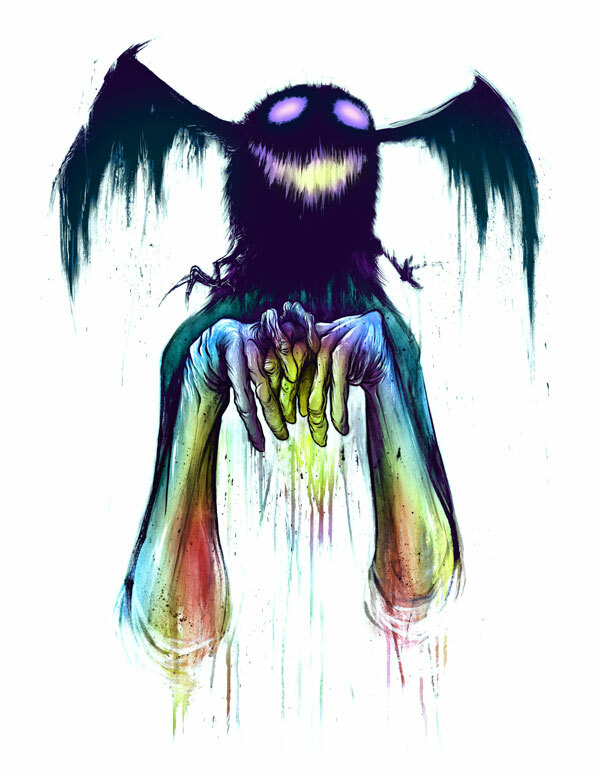 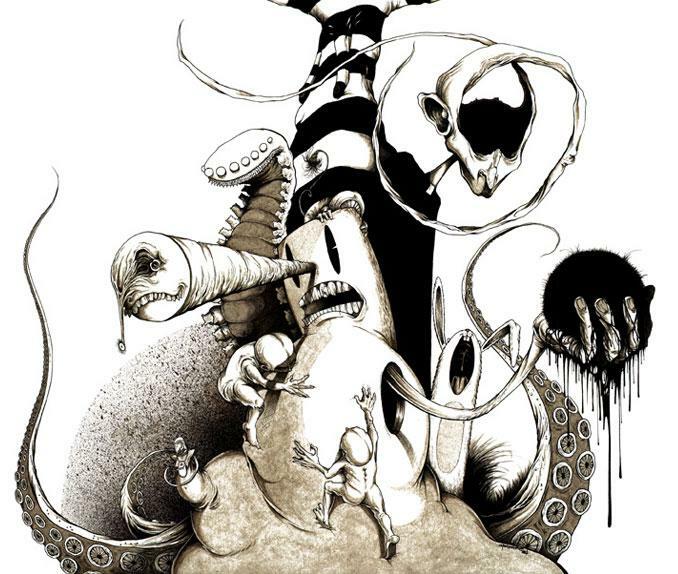 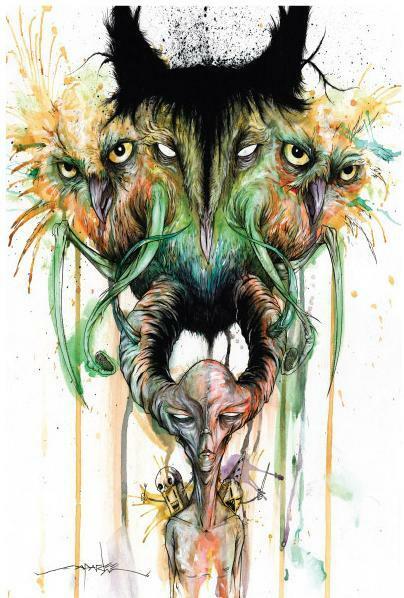 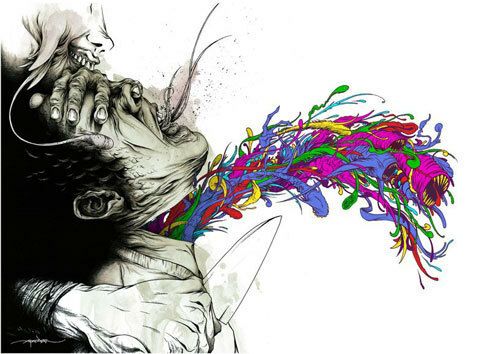 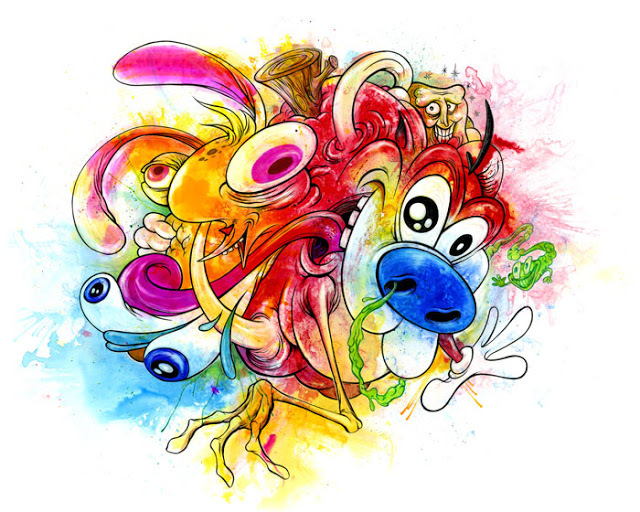 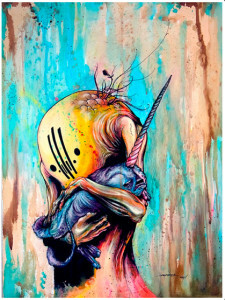 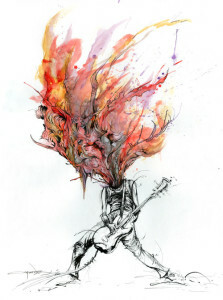 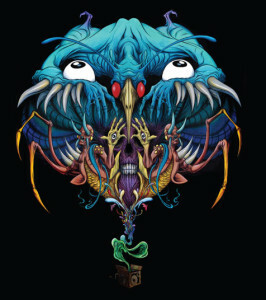 I have been a huge fan of Alex Pardee’s work since his dark, unsettling and surrealist work for Cage’s album Depart From Me. 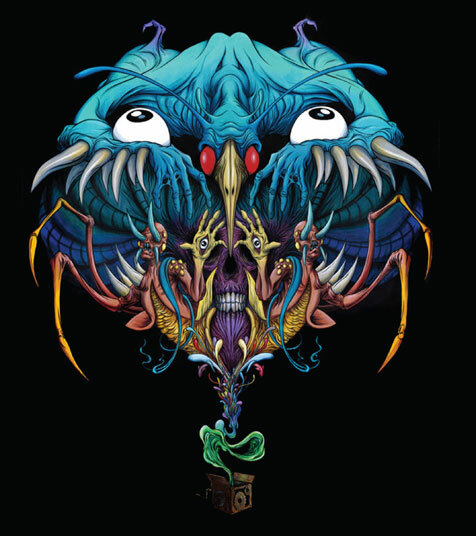 The freelance artist, apparel designer, and comics creator writer hails from Antioch, California and his influences include 1980s horror movies, pop art, graffiti and gangster rap. 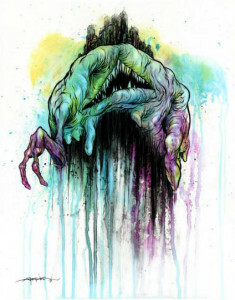 Artistically, he adored The Garbage Pail Kids, The Maxx, Spawn and Tales from the Crypt. 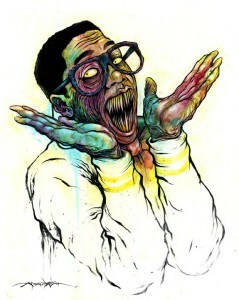 He is a member of the groups Cardboard City and Zerofriends. He runs the website EyeSuck Ink which includes links to his blog and store. Through his art he has admitted to overcoming depression and anxiety disorders along with emotional struggles. He uses pens, ink, watercolors, and dye, and is working in more acrylics, oils, and latex. 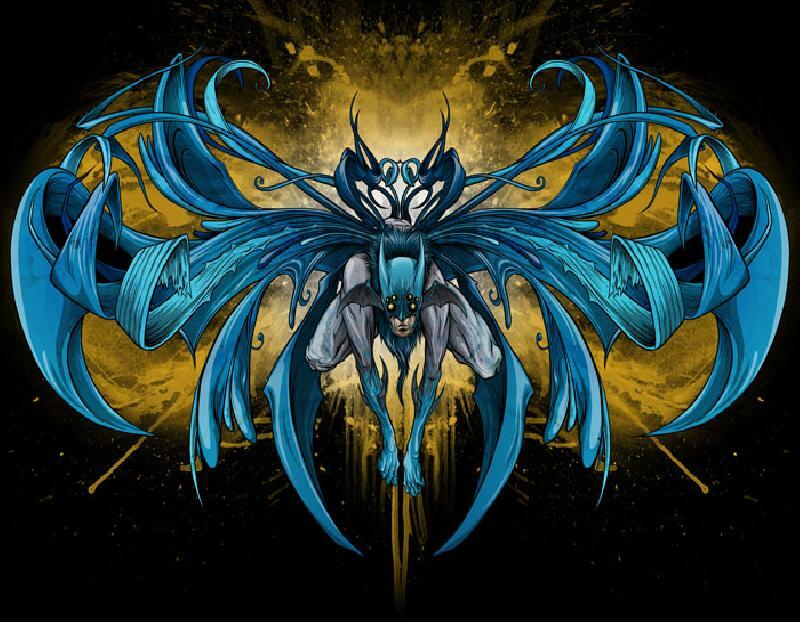 He has also worked with Zack Snyder on his movie Sucker Punch and released his first official art book, titled Awful Homesick in October 2008. 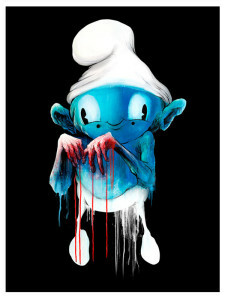 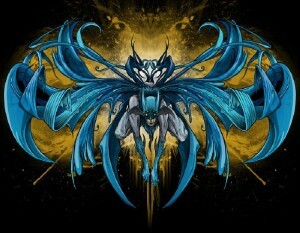 He has a huge body of work which has included interpretations of TV personalities, classic superheroes and star signs. Below is a small sample of his incredible body of work.